Oh man. I had to wait for a week before writing this review to see if I wasn’t just being tricked into loving an album on the first listen. Now with multiple play throughs down, I know it wasn’t just love at first sight. It’s deeper than that. Atoma isn’t a pretty girl in a pub who turns out to be shallow and irritating when the alcohol wears off the next morning. Atoma is relationship material. Luckily she also comes in pretty skin. I am genuinely thrilled with how perfectly put together the cd package was, as you can tell by my unpacking of it. All the bumps are in the right places, so to speak. With the advance single releases of title track Atoma and the excellent Forward Momentum I was really full of optimism for this album though there is always a slight worry that the album wouldn’t live up to my high expectations. The album, Atoma, comes packed with 12 tracks on it in total though physical copies also come with a couple bonus tracks. In total that equates to around 50 minutes of metal for your ears. With the two singles so far carrying a reasonably similar tone and feeling with loads of melody and a large amount of Mikael Stanne’s clean vocals, it is great to hear the album start off with a different note. Encircled is a great album opener. 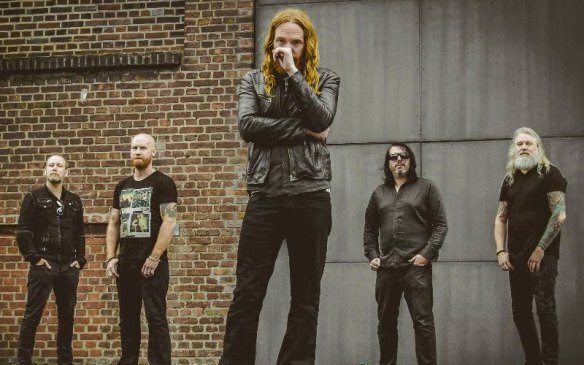 It is the Dark of Dark Tranquillity with no clean vocals, a deep and tense feeling throughout and loads of heaviness and actually the majority of tracks on the album that bring the same, heavier, side. Another is Neutrality which starts with a lovely soft guitar intro before exploding into a riff laden heavy song with no clean vocals throughout. Both Encircled and Neutrality offer a stark contrast to the two tracks sandwiched between them, singles Atoma and Forward Momentum, which are completely driven by clean vocals and intricate melody. Both are tracks I really like a lot, as you could tell by the single reviews here on GBHBL. With 12 tracks, it was inevitable that there would be filler on the album and there is some, though, even the less brilliant tracks are still very good and have brilliant moments. Track 5, Force of Hand, is one such track. It has loads of melody, a great intro and a really cool solo but doesn’t quite hit the heights of the first few tracks. I think that may be because of how high the bar was set with those tracks though. There are a few others as well that don’t quite hit the sweet spot with me. The Pitiless is a heavy number with some great drumming, a breakdown to a slower, echoed vocal style that leads into a neat little solo but again doesn’t quite live up to those early tracks. When the World Screams is another. A really solid song, great guitar hooks, Anders Jivarp being amazing on the drums, a great chorus but the verse just falls a little flat. That’s about it though, even their filler is bloody good but other tracks are just a step up from that. Songs like Faithless By Default, a powerful beast with a slower, darker tone, beastly vocals and beautiful melody plays out like an epic that pulls you along emotionally. 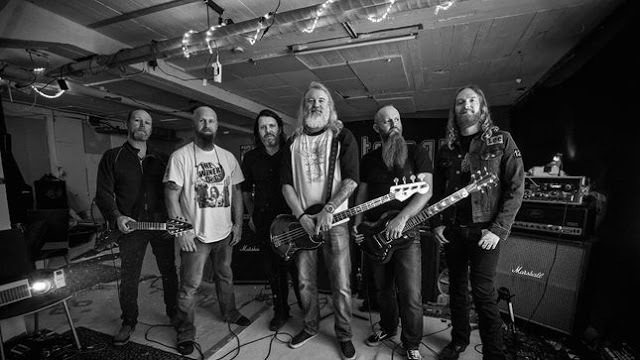 Our Proof of Life is the more stereotypical melodic death metal track with intricate guitar lines leading the song along and just a hint of Martin Brändström’s keyboard filling in the background. It has a real head nodding beat going and should be a crowd favourite and just how heavy and aggressive are the vocals right after the solo? Merciless Fate starts off like the heaviest of black metal tracks but then it starts building with more and more of Niklas Sundin excellent guitar melodies. It breaks down into a sombre clean singing section near the end which sounds beautifully miserable. Again instruments start building before all joining together to end the song like a crashing tidal wave of melodic metal. Then you have the album closer, Caves and Embers, which starts off with a great little blast beat drumming intro over high pitched guitar squeals. It is a more rhythmic, beat heavy number and I love the building guitars and vocals over the bass of Anders Iwers in the pre chorus. It has another little breakdown into a quiet little melodic section which is mainly just bass and keys until it explodes into life with loud guitars, screamed vocals and crushing drums. It is another really strong song though I am not sure it is the correct choice for an album closer. Personally, I think swap Caves and Embers with the second last track, Merciless Fate, and it works better. That is about it. I have listened repeatedly to 12 tracks from Dark Tranquillity and love it. The only criticisms I have are a few tracks are only very good and not exceptional and maybe a different song would have made a better album closer. You can’t ask for anything more than that. This album is receiving acclaim from many sources, me included now, and they are all correct. When a band put together a masterpiece such as this they deserve to be celebrated and this is Dark Tranquillity at their absolute best. Atoma brings plenty of darkness and a sprinkling of tranquillity and if the pioneers of melodic death metal continue to release awesome music like this, they may just be the reason it gets pushed back into the spotlight once again.